Midlands Co-op has become the latest co-operative society to exit non-food, with its announcement today that eight Fashion & Home department stores are to close within six months. 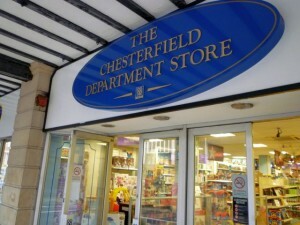 Most of the affected stores are in the East Midlands, including five full-line department stores – badged as Fashion & Home – in Chesterfield, Derby, Ilkeston and Wigston, as well as another in Stafford. 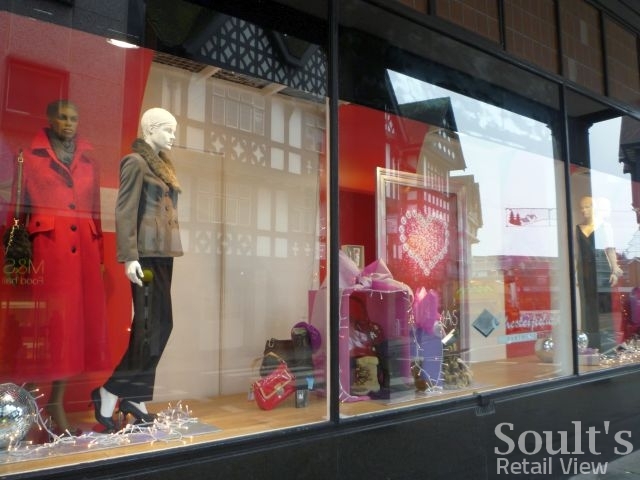 Two smaller Homestores – in Coalville and West Bridgford – are also earmarked for closure, along with the Sleepers bed store in Long Eaton. A ninth non-food store, in Raunds, “will be affected but won’t close”, as the Society “explores viable change of use options for this site”. The closures will put the jobs of 388 store-based staff at risk, though Midlands Co-op is looking to transfer as many roles as possible into other areas of the business, such as its successful supermarkets operation. The Society has about 200 food stores, mostly branded as The Co-operative Food, and those are unaffected by today’s announcement. 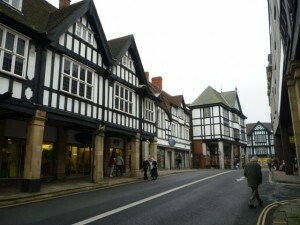 Similarly, the non-food stores run by other Midlands-based consumer co-operatives – namely Tamworth Co-op’s department store, and Heart of England Co-op’s branches in Atherstone, Bedworth, Coventry, Hinckley, Kenilworth, Nuneaton, Royal Leamington Spa and Rugby – are entirely separate businesses from Midlands Co-op, so are not affected by its plans. Coming hot on the heels of last week’s Christmas trading update from the Society. the news of the Midlands Co-op closures is desperately sad yet not entirely surprising. That statement reported a healthy increase in food sales over the festive period, with like-for-like growth of 2% in the three weeks to 5 January, and an impressive total sales increase of 9.8%, based on organic growth and acquisitions. That performance was in line with the much larger Co-operative Group, which itself saw like-for-like growth of 2.2%. Though the distinction is often virtually invisible to consumers, Midlands Co-op’s food business – like that of Tamworth Co-op, and other smaller societies – is run entirely separate from that of The Co-operative Group. Most societies have, however, been rolling out the common ‘The Co-operative Food’ fascia across their estates in recent years, and stock the full range of Co-operative-branded groceries in their capacity as Co-operative Group corporate members. In contrast to its robust trading in grocery, though, the festive performance of Midland Co-op’s non-food business was poor, with like-for-likes down 10.1%. Though the Society blamed the fall on “ongoing market pressure”, it doesn’t explain why the decline is quite so marked. Many non-food retailers, after all, have reported modest, single-figure like-for-like sales increases over the Christmas period, so it suggests something more fundamentally amiss with the product offer and mix. As I remarked in my piece about Tamworth Co-op before Christmas, however, trying to generate a profit from non-food has been a big challenge for most co-operative societies in recent years, and the roll call of Co-op department store closures in the last decade is sobering. 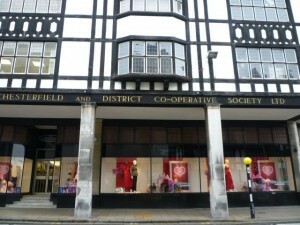 The Co-operative Group’s decision, in 2005, to close or sell its 36 department stores was a watershed, followed by United Co-op’s own exit from non-food, in 2007, as part of its merger with the bigger Group. 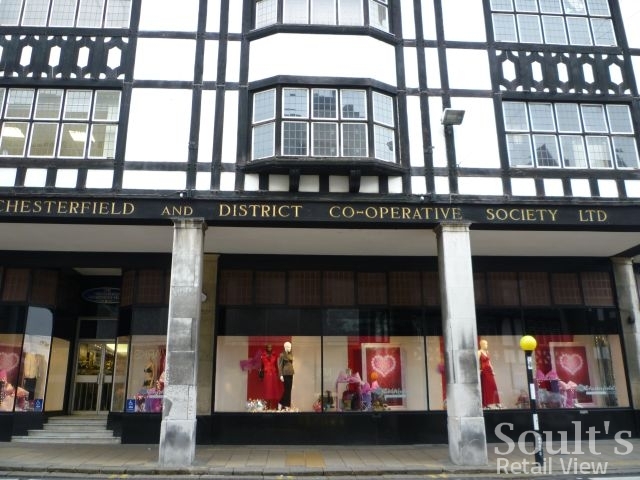 For a time, Anglia Regional Co-operative Society’s Westgate Department Stores business – which mopped up some of the stores disposed of by the Group and United – was seen as the way forward, with a more upmarket positioning and a distinctive brand. 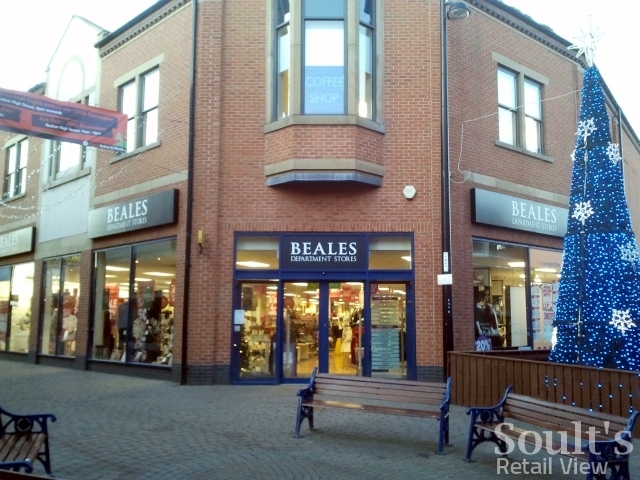 However, it too took the decision to quit non-food in 2011, albeit through a sale of 19 stores to Beales rather than a programme of closures. 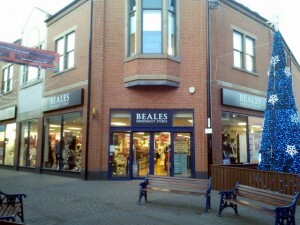 Though Beales is yet to report on its 2012 Christmas trading, the acquisition and subsequent investment in store improvements contributed to the company recording its first profit for five years in 2010-11, suggesting that there is scope to make a success of Co-op department stores if the product offer, customer experience and marketing is right. In contrast, Vergo Retail’s ‘rescue’ of the closure-threatened non-food operations of both the Plymouth & South West Co-operative Society and East of England Co-op, back in 2009, proved less successful, with the whole empire collapsing and closing down just a year later. 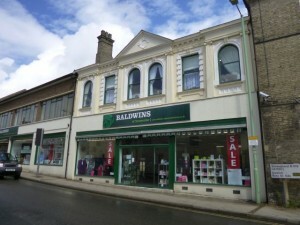 Even here, however, the small ex-Co-op and Vergo branch in Stowmarket has been reincarnated by former management as Baldwins since the end of 2010, with other, entirely new Baldwins stores opening close to the former Co-op premises in Ipswich and Dovercourt. All in all, it suggests that more compact Co-op (or Co-op-style) non-food stores can still work if they’re sufficiently rooted in and tailored towards their local community. So, drawing hope from these precedents, is there a prospect that all or part of the Midlands Co-op non-food estate might yet survive? Perhaps, though the options are limited, particularly since the Society says that it has already made “efforts to sell the business as a going concern” which “have proved unsuccessful”. Realistically, though, the slightly quirky mix of store sizes and formats meant that finding a single buyer for the whole lot – such as Beales, who Midlands Co-op must surely have approached already – was always likely to prove unfruitful. 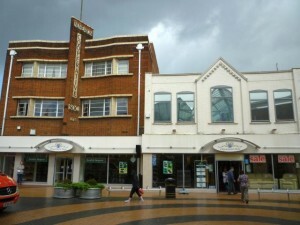 Similarly, even the Warwickshire-based Heart of England Co-op, which has built up one of the most modern and best-looking estates of Co-op non-food stores – including its Nuneaton flagship – is unlikely to want to add a tranche of new shops to a divison that it’s described as “under tremendous pressure”. Of the eight closure-threatened stores, I happen to have visited four of them in the last two or three years: Derby, Chesterfield, Coalville and Stafford. All are long-established, landmark stores whose departure will leave a significant and unwelcome hole in the high street. In each case, however, the likely impact of closure, and the store’s prospects for attracting a buyer or new occupant, are quite different. 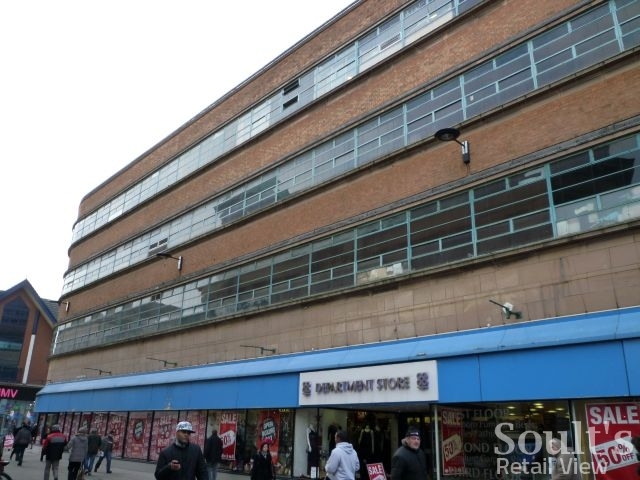 In Derby, the Co-op department store in East Street is truly a landmark property, but perhaps the least likely of the eight stores to find a new occupant any time soon. 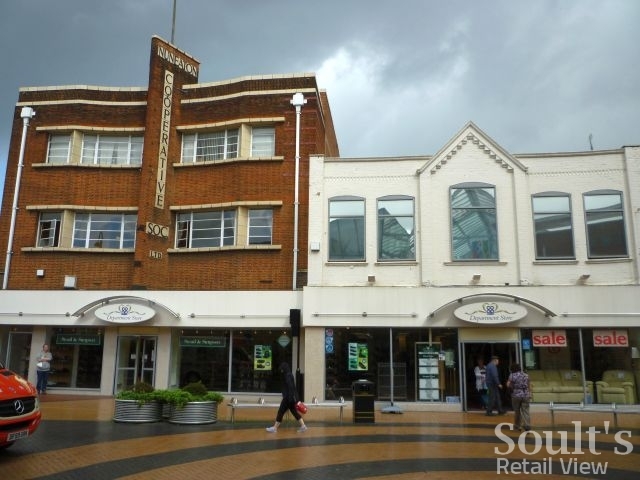 A striking Modernist building with a distinctive curved facade, it was built for the then Derby Co-operative Provident Society either side of the Second World War, providing premises for the flagship store of one of the country’s earliest (1854) consumer co-operatives. Today, however, with a modern Debenhams in the giant Westfield centre, and the smaller but lovely Bennetts of Irongate in the Cathedral Quarter, Derby is reasonably well equipped for department stores and too large a centre to appeal to Beales. 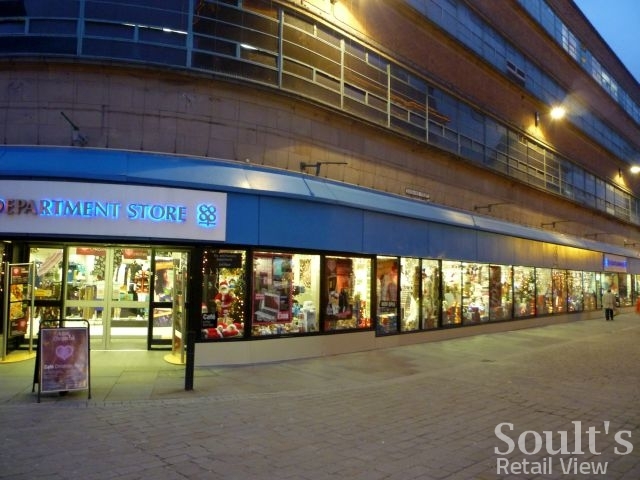 In any event, a retailer seeking large footprint premises in Derby city centre already has the 80,000 sq ft ex-Debenhams to consider, which has, to my knowledge, remained without a permanent occupant since the store relocated in 2007. In Chesterfield and Stafford. it’s more surprising that Midlands Co-op has failed to make a go of things given the stores’ prominent locations and the lack of town centre department store competition. 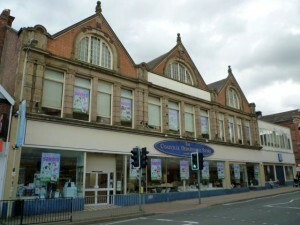 The Chesterfield store in Knifesmithgate, which only became part of Midlands Co-op in 2001, is housed in a large and spectacular Mock Tudor building that it would be tragic to let lie empty. When I visited in November 2011, I was also pretty impressed with it as a Co-op store – the restaurant was buzzing, the product offer seemed strong, and the quality of the shop windows and merchandising was of a much higher standard than most Co-op department stores. Surely this is a store that can be saved? However, Debenhams’ recent opening on Land Securities’ slightly edge-of-centre Ravenside Retail Park – located, unhelpfully, at the other end of town too – coupled with the building’s higgledy-piggledy layout, perhaps lessens the site’s appeal and its likely interest from a modern retailer like Beales. 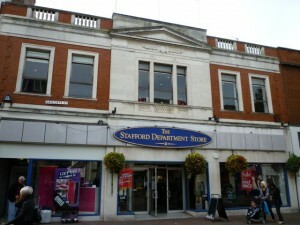 In Stafford, Debenhams already has a connection with the Midlands Co-op building, having operated a large concession there in the past, though its imminent launch of a store in nearby Lichfield makes an investment in Stafford seem unlikely. Again, as in Chesterfield, the store layout is challenging, and would probably need a radical revamp to make it suitable for a new occupier. Still, Stafford’s compact size and historic charm would make it a sensible fit with the Beales porfolio, and, failing that, Primark still lacks a Stafford presence as well. 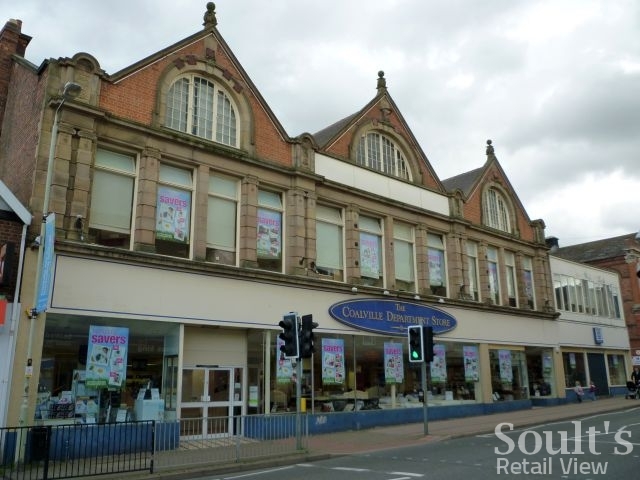 Meanwhile, of the four Midlands Co-op department stores I’m familiar with, the branch in Coalville is arguably the one whose closure would be most detrimental to the wider high street, given the store’s size and prominence within the town’s compact centre. When I last checked – and it may have changed since – the town’s ex-Woolworths store in Belvoir Road was still awaiting a new occupant, which is never a good indication of a town centre’s vitality. The Coalville Co-op itself isn’t without flaws. When I was last there, in August 2010, I remember thinking that the store felt desperately old fashioned, filled with furniture and electricals, but lacking in both customers and pizzazz. It’s in a good location, though – opposite the bus station and a Wetherspoon’s – and would lend itself to a Baldwins-style reincarnation as a store that is locally run and community focused. All or part of the offer might be based on the ‘Handpicked Hall’ concept that is seemingly proving a success in Ripon, and is soon to be replicated in Skipton (in part of an ex-Westgate Department Store, coincidentally) and Leeds. 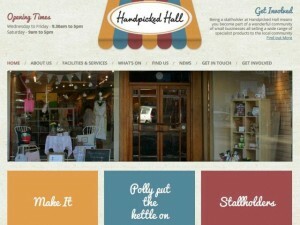 Described as “a wonderful community of small businesses all selling a wide range of specialist products to the local community”, the Handpicked Hall includes a “handpicked collection of independent, local makers, artists, growers and retailers”, as well as a popular café to help drive footfall and repeat visits. Here, perhaps, is a model for reinventing the small-town department store for the 21st century – and something I’ll certainly take a look at next time I’m visiting North Yorkshire. In the light of today’s sad news, and the continued challenges faced by those other consumer co-operatives that still have non-food operations, there could hardly be a more pertinent topic for me to cover. 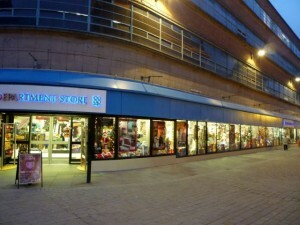 Previous story Nipper on the brink: is there a future for HMV, and do we care? Don’t think it’s the end for Department stores given that John Lewis are doing so well and still expanding with various formats, including the Home Format Stores, the flexible format in Exeter in the ex Debenhams store and even with new department stores. Original Factory Shops might surely look at one or two of these soon to be vacant stores given their continuing growth and value outlook. Fenwicks are also still doing well, even House of Fraser had a great christmas as of course did Debenhams. I think clicks and Mortar seem to be benefitting the department stores again. The problem for the COOP is they are seen as dated and old fashioned. I too remember the COOP down in London and in Kent but they are now long gone. It’s a shame because had they used their membership status with great service aka John Lewis style they might well have survived. I don’t know these areas or the demographics but I do hope for some if not all the buildings and new tenant’s arrive but don’t be surprised if Poundland take one or two stores as they did that with the former Coop Department Store in Eltham. 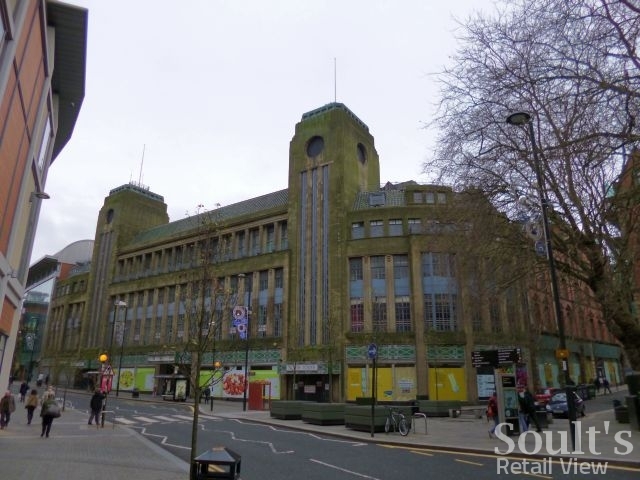 The gradual loss of the Co-op Department Stores is truly sad, worse is that because it’s been a steady series of closures over a 15-20 year period, it’s gone largely unnoticed by the media, with no single headline job loss to focus on. 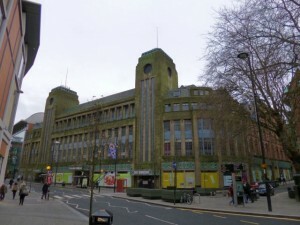 It’s telling that a good amount of the Co-op Department Stores have since been split: Nottingham’s beautiful store on Upper Parliament Street is sadly only beautiful on the outside now; the Broadmarsh store (since Allders and TK Maxx) was also set to be split; Sheffield’s Castle House is already somewhat split with more to follow if rumours are to be believed – the list goes on. I think the truth is that Britian has fallen out of love with the department store. The natural reaction normally follows ‘…but John Lewis’ – I think John Lewis’ customer is ageing and will eventually die, and the same is true of most of the department stores I see generally doing well. It’s sad, but I’ve got to say even though I enjoy the sense of ‘exploration’ you get uniquely when visiting a department store, I have very little business to offer them. I can only think of one £15 purchase I’ve made in a department store in the last 12-months, and a couple of occasions I’ve had a drink and a scone. 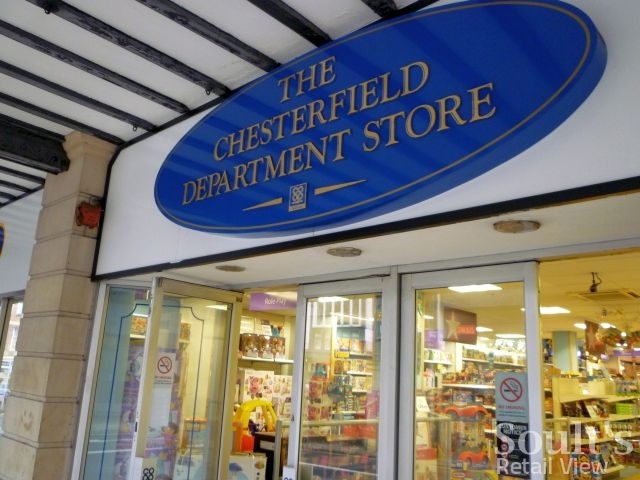 Good to read this analysis Graham, certainly Chesterfield would be a pity to demolish and redevelope, and from the outside one Sunday coming back from Manchester (trains diverted) it looked a good store. Derby will probably be too big for one retailer so may need subdividing.